(Jakarta, 15 October 2015) Several different groups appear to be deliberately burnishing the image of a former rebel-turned-outlaw in Aceh to draw attention to his criticism of the provincial government, led by senior leaders of the Free Aceh Movement (Gerakan Aceh Merdeka, GAM). The misguided support for Din Minimi, who has robbed, kidnapped and killed, encourages partisan violence, which is the last thing Aceh needs. 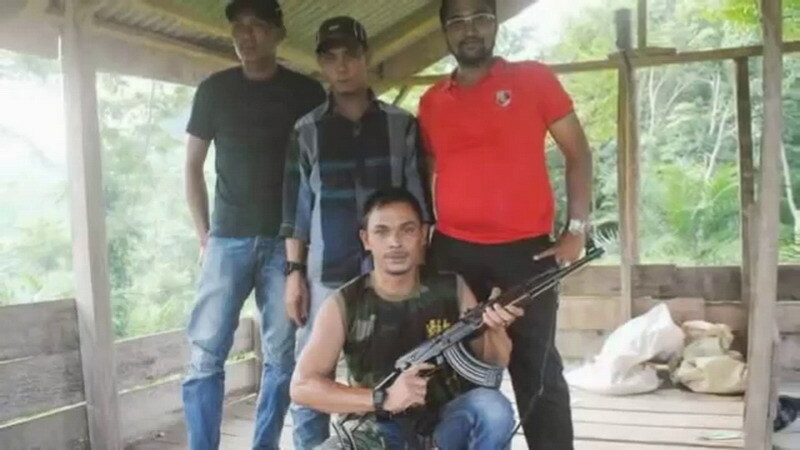 Din Minimi: The Strange Story of an Armed Group in Aceh, Indonesia, the latest report from the Institute for Policy Analysis of Conflict (IPAC), looks at the rise and likely fall of the outlaw who served as a combatant during the final years of GAM’s insurgency. He is being portrayed by various parties opposed to the current GAM-led government as a Robin Hood who abducts corruptors and drug dealers and uses the ransom money to assist orphans and widows neglected by the GAM leaders now in power. In the process, he has attracted the attention of all who would like to see Partai Aceh, the GAM-led political party, discredited – and they include political rivals, intelligence personnel and extremists. The report looks at Din Minimi’s background and his sudden rise to media prominence in 2014. The man who is allegedly Aceh’s most wanted criminal has since been in telephone contact with almost every top security official in Aceh as well many journalists, always giving the same message: the provincial government has failed to make good on its promises to former combatants, it has not given them homes or land, and has not lived up to its commitment to implement the 2005 agreement in full. Din Minimi’s long list of crimes since mid-2013, including the March 2015 killing of two military intelligence officers, has been given less prominence in the press than his grievances. At the same time, some 20 of Din Minimi’s men are under arrest and their trials have revealed an interesting fact. Some of his arms were purchased through a connection to a man serving a sentence in Banda Aceh prison on terrorism charges, for involvement in a terrorist training camp set up in Jantho, Aceh Besar, in 2010. The arms were reportedly financed by a member of a GAM splinter faction living in Norway. Among the many questions raised by this transaction is how security can continue to be so lax in prisons. The Din Minimi story also reveals ongoing competition between the police and military, showing how the military’s gently gently approach contrasts with hardline police tactics. Aceh has a history of violence around local elections, and Aceh has 20 district races coming up in February 2016,” says Jones. “It would be in everyone’s interests to have Din Minimi behind bars long before that.